The Close Quarter 12 Point Wrench Series allows easier fastening in tight access areas due to its extremely thin wall. Also known as Ratchet Wrenches Close Clearance. 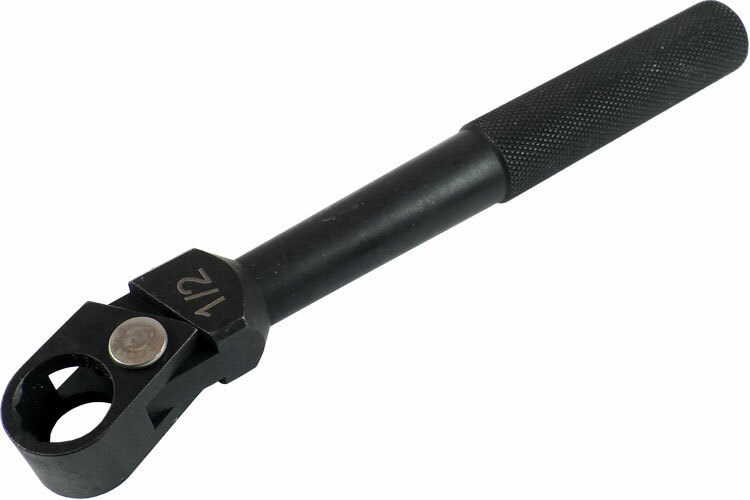 This ratchet wrench from Omega Technologies was developed for use in compact areas or space. Designed to attain a ratcheting action through limited relative movement between the handle and head portion of the tool. Close-clearance ratchet box wrenches have a thin-walled yet strong 12-point swivel head that ratchets at a 30 degree angle. Ideal for working between closely spaced fasteners and in confined areas. Handle ratchets to right or left - turn over to reverse ratcheting. Use for 6-point and 12-point fasteners. Made of heat-treated forged steel with a black finish.